Humboldt has taken the legend that is “Bubba Kush” and enhanced this incredibly impressive Indica variety, resulting in the even more potent and faster flowering Bubba Kush 2.0 cannabis seeds! Bubba Kush 2.0 is an old classic with a new twist because this strain has improved everything! The team at HSO managed to decrease the flowering cycle by several days and increase the THC content production by over 30%, but it does not stop here as they have also increased the overall yield, bringing new life into a much-loved legend. Bubba Kush 2.0’s branches hold dense buds which have a rich, earthy, coffee flavor accompanied with sour after tones, much like the classic Kush we all know and love. She also radiates with a very strong, dark aroma so carbon filters are recommended when growing indoors. These easy-to-grow Indica cannabis seeds are the perfect choice for medical users who suffer from sleeping disorders or anxiety, due to its deeply relaxing, almost body-numbing effects. Bubba Kush 2.0 has also carried forward a strong resistance to drought since its origins in the mountains of Afghanistan. She will produce strong, compact plants which can grow as tall as 2.5 meters outdoors and will reach the end of her flowering cycle after only 45-50 days. If you're looking for a top-notch Indica with a solid yield and deep buzz this upgraded Bubba Kush is any collectors must have! 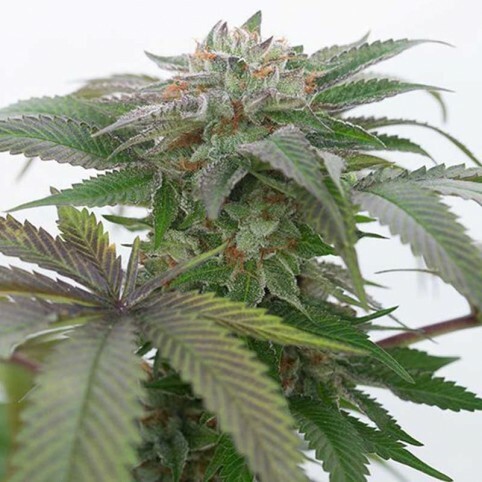 OG Kush is a Californian variety by Humboldt Seed bank that is in the top in the California seed ele..
Pineapple Skunk cannabis seeds by Humboldt Seed Organisation is a commercial strain which is very po..